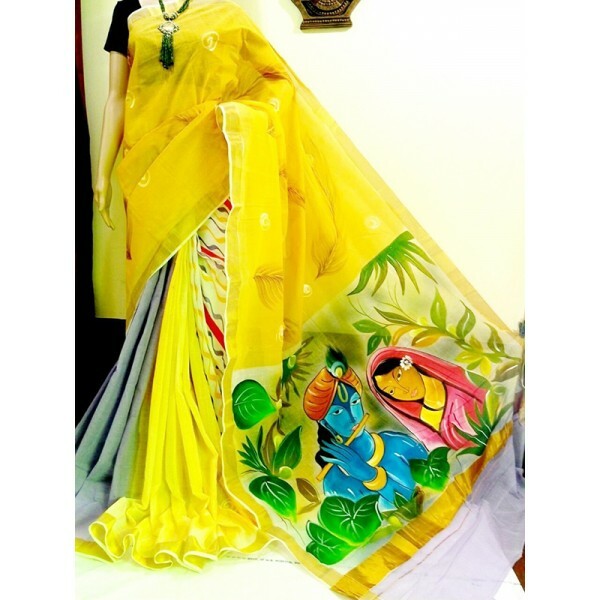 Tradition mix with modern cotton saree from MALABAR SHOPPING with multi colored saree having grey color on half portion and the front fleet have yellow color which gives an amazing look. 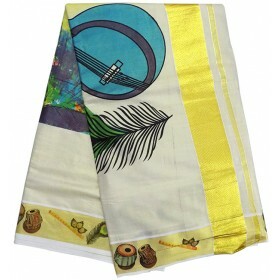 It has yellow, red, grey curly stripe along with the fleet and the rest potion have yellowish orange color with Radha Krishnan hand painted image. 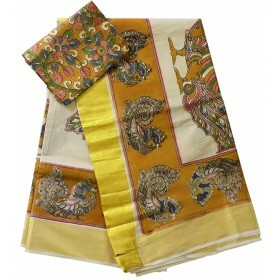 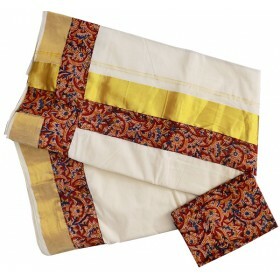 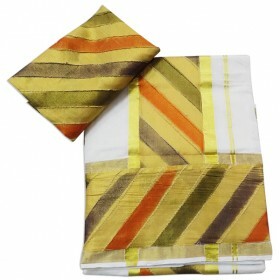 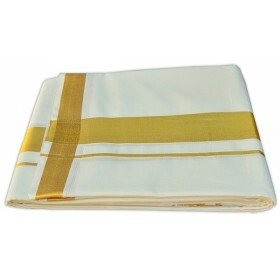 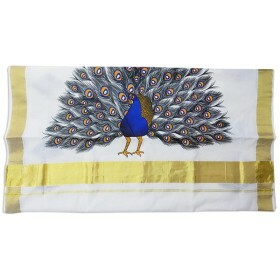 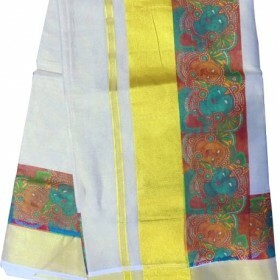 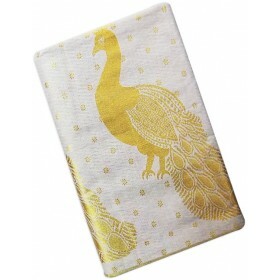 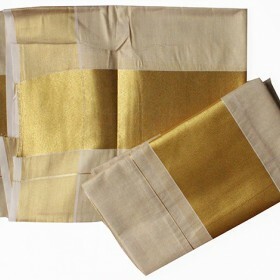 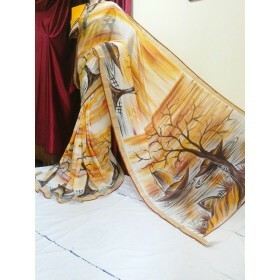 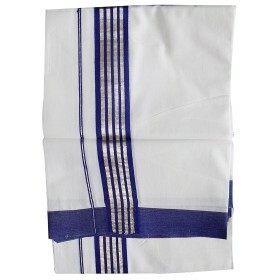 The main attraction is that it is fully hand painted pure cotton handloom saree to make you beauty. 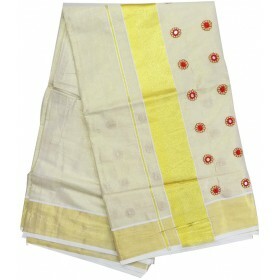 You can use this as party wear for a new look. 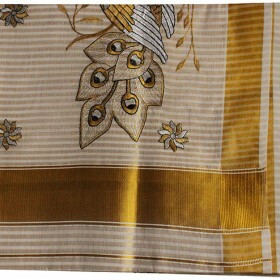 Perfectly matching blouse piece comes along.